Visalia gets GPS tracking on buses, how about FAX? GPS tracking on buses hit the scene a few years ago in America in major cities like San Francisco and DC, courtesy of a company called Nextbus. The technology had already been wildly deployed in Europe for many years. Now Visalia has joined the party, but Fresno, with the largest bus agency in the central valley, hasn’t given its customers the tools they need to have a better bus experience. So why is GPS tracking important for riders? In cities like Fresno, where buses are infrequent at best (the two most popular bus lines have the best service at a bus every 20 minutes), missing a bus can lead to a very long wait. Some buses come just once an hour, and missing the bus can mean losing a job. This means passengers must arrive extra early and waste their time with no idea of where the bus is, when it is coming, and if the journey will be completed on time. This is especially problematic in the valley, where daytime temperatures can reach 110 degrees….in the shade. Most bus stops lack benches or shade canopies. GPS tracking lets riders find out exactly where the bus is, and how long it will take to arrive. This means the passenger can run if they are late, or relax in an air conditioned space if they know the bus is still 15 minutes away. As I pointed out a few months ago, the Fresno bus schedules have very few time-points, so stops between these points can have arrival times that vary greatly. The tracking is also good for the agency. More information leads to more accurate schedules and better dispatching. Now a new alert system in Visalia is helping passengers know exactly where their bus is and what time it will arrive at their bus stop. The program allows people to receive an alert on their computer or smart phone when their bus is 5, 15 or even 30 minutes away. The alerts are based on real time information, not when the bus is scheduled to arrive. In addition to the new alert system, people can also depend on electronic signs at each bus stop telling people, in real time, how far away their bus is, or find the latest information by calling a toll-free number. I’m not sure if Visalia is using Nextbus, but in other cities, riders have many options. -Those with smartphones can download an app, featuring countdowns and maps. -Those without smartphones can text and receive a free reply stating how long until the bus will arrive. -Those without texting, or without a mobile phone, can call a toll free number to get an automated message listing the next bus arrival. 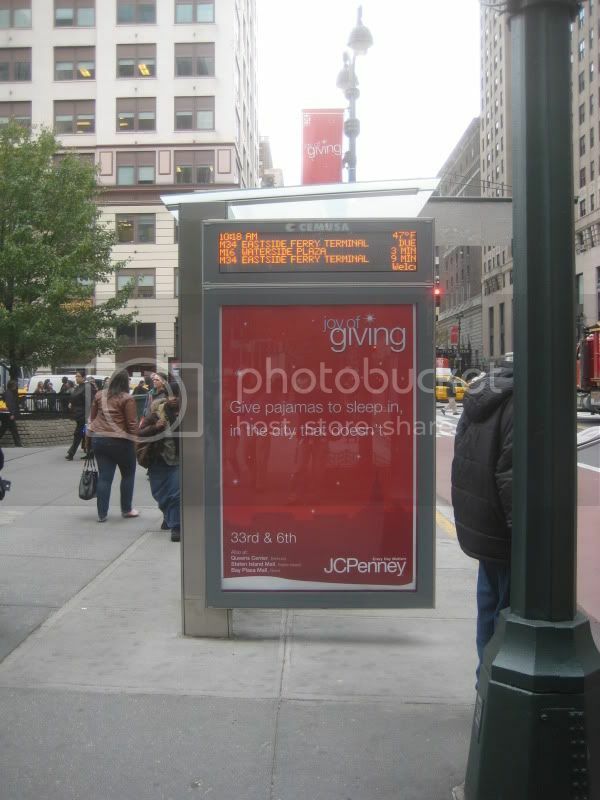 And finally, as the article points out, the agency can install screens at the bus stop counting down to the next arrival. This completely lifts the burden of technology from the rider, as the information is broadcast free for all. Cox says riding the bus isn’t just for people who don’t have access to a car. “These we call our choice riders, where people who are actually choosing to ride the bus, and we think we’re attracting them more by offering them more options of how to get the information,” Cox said. While Visalia is using technology to try and make riding the bus attractive for those with cars, it is unnecessary to focus on this market. The truth is, anyone who can afford a car in a city like Visalia will prefer to drive rather than ride the bus because of the way the city is designed, and the infrequent schedule of the bus. Unless the bus system offered free prizes every day, these choice riders will not choose the bus. Besides free prizes, if the system were to provide 24 hour service at 5 minute intervals, to match the convenience of a private auto, ridership might rise. However, just because one cannot afford to, or is not physically able to drive a car, and is a transit rider by necessity, doesn’t mean they should deal with a bad system. Making the lives of transit riders better is always a good goal. And while someone who is commuting to a minimum wage job may be able to afford a 30 minute wait, in a regional economic sense (it’s just $5 of his time!) that doesn’t mean his quality of life can’t be drastically improved by handing over so much time to this person every day. Having someone sit at a bus stop for 50 minutes is not productive for anyone. One other thing of note is that the Visalia website has something the Fresno FAX website so sorely lacks….accurate maps of the bus system. And their map includes real time location of buses. Riders can pick which routes they want to see, and get accurate maps of where the bus goes. So come on FAX, get with the times, and join the technology age. It’s sort of sad to see these smaller transit agencies get technology Fresno so badly needs while riders here are stuck waiting with no information to help them. A tracking system isn’t free, as according to the Visalia Times it cost $600,000 to deploy. But that’s actually not expensive. Assuming the service life of the system is 15 years, that’s just $40,000 a year. Let’s say the average transit rider makes $10 an hour. As long as the system helps riders save a cumulative 4,000 hours a year they would have wasted sitting on a bench, then Visalia has come out ahead. That’s an extremely manageable number to reach. I know it's several years later, but does Fresno have a tracking system for its buses now? It seems that Long Beach does, and it looks really nice. Having ridden the bus for a year in the LBC, I like the new technology. Though I think a city like Fresno would benefit far more greatly from a system such as this because of how infrequent bus stops are. I also like how google maps integrated LBCT buses into locations on the left. I'd be happy if the city were to just improve its bus maps. Several years ago, I don't know if this has changed, I tried to find bus that would take me across town. The FAX bus maps were almost completely unusable due to their poor layout, and I had to get my information on buses from an acquaintance. Still no real time tracking and theyre using the exact same (terrible) maps. You need a cartography degree to understand what happens downtown. In fact the only changes over the past 10 years have been the removal of three routes, and a fare hike. Also, new buses are arriving, but those are required by the feds (ie, the other buses were at end of life).